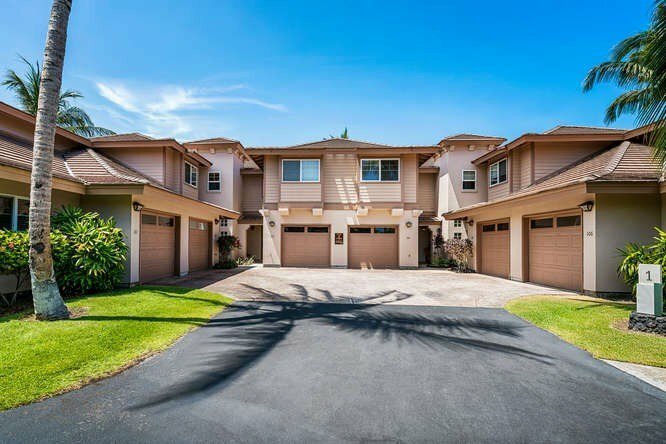 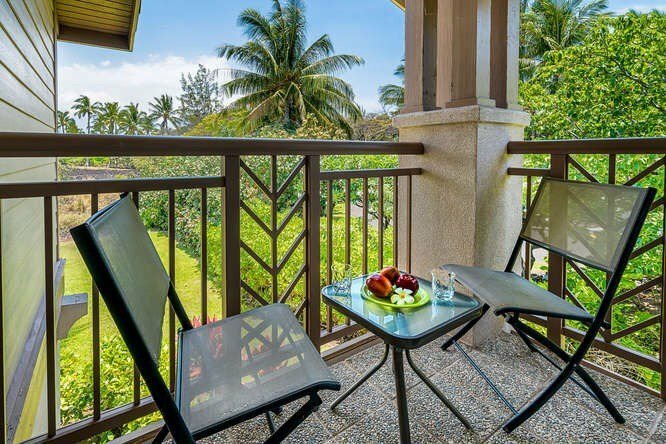 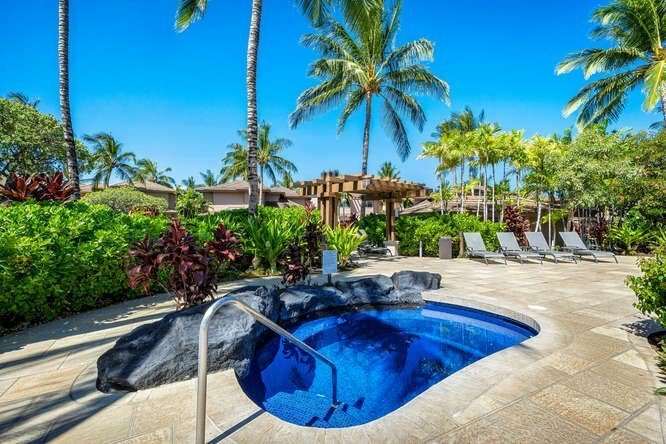 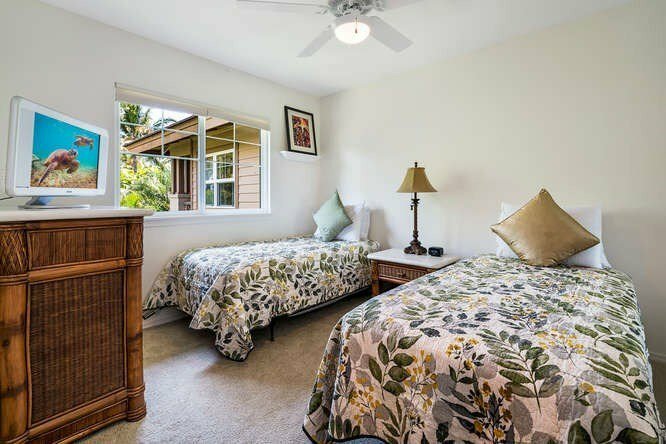 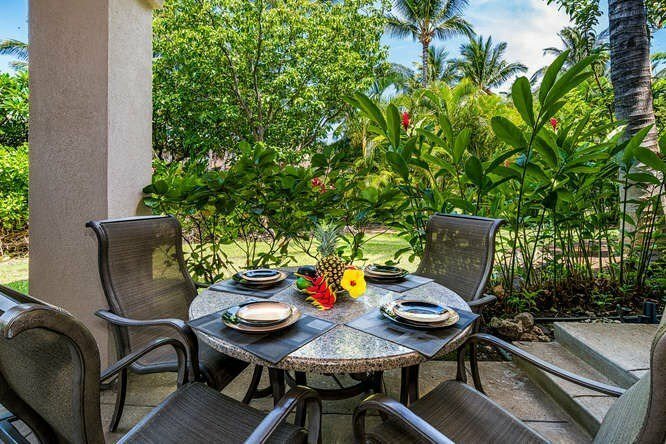 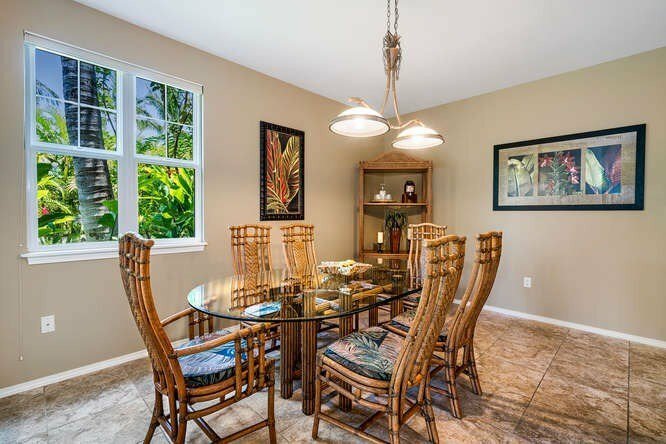 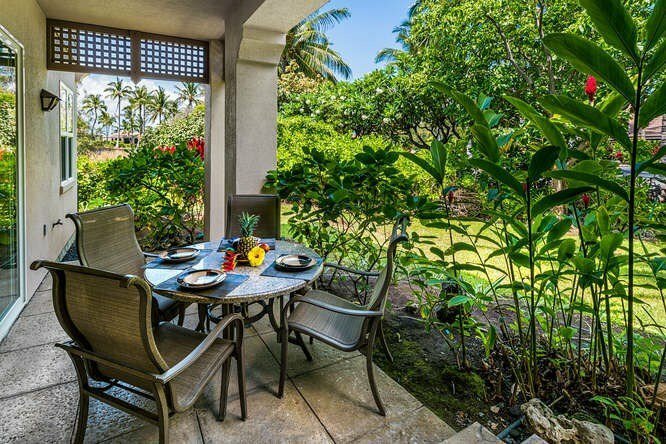 A lush tropical garden surrounds Waikoloa Colony Villas end unit #105. 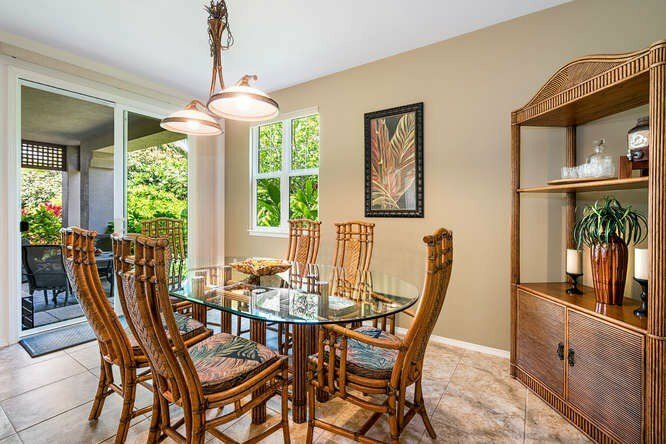 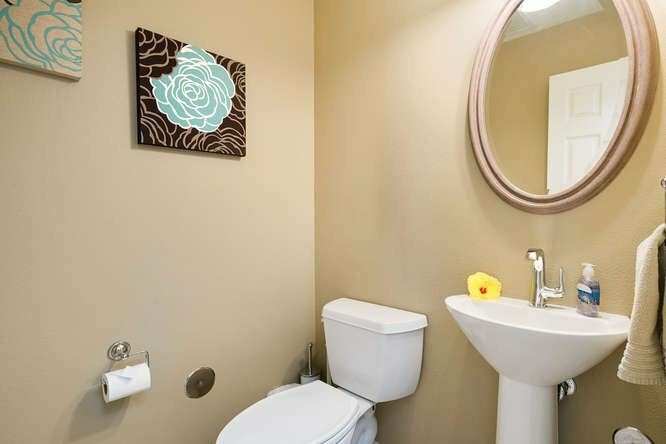 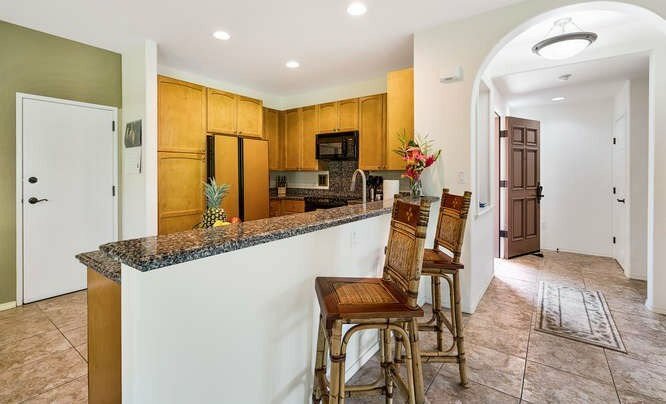 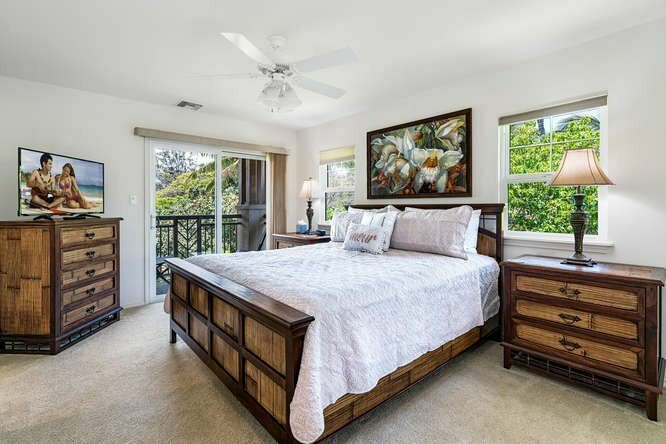 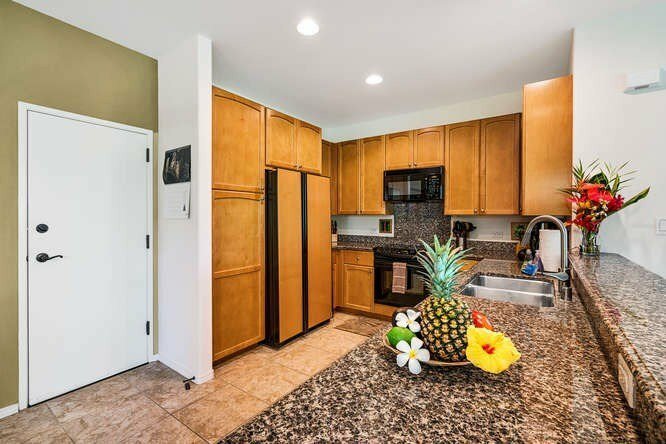 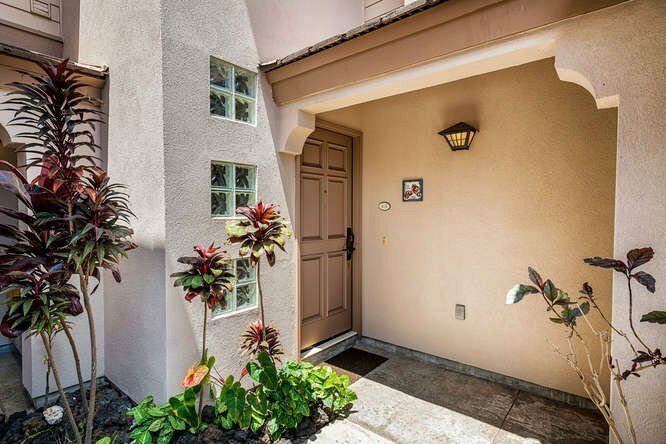 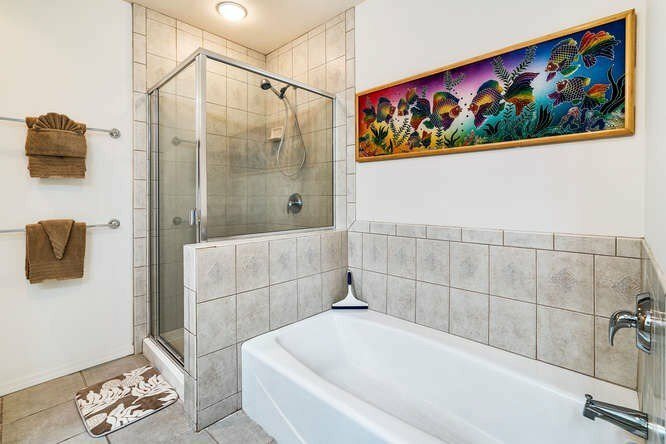 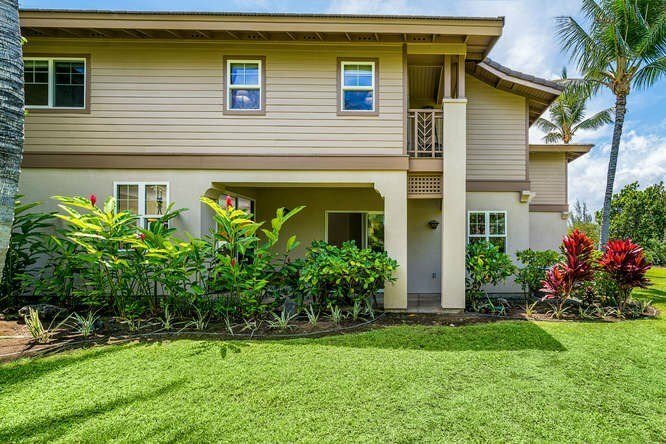 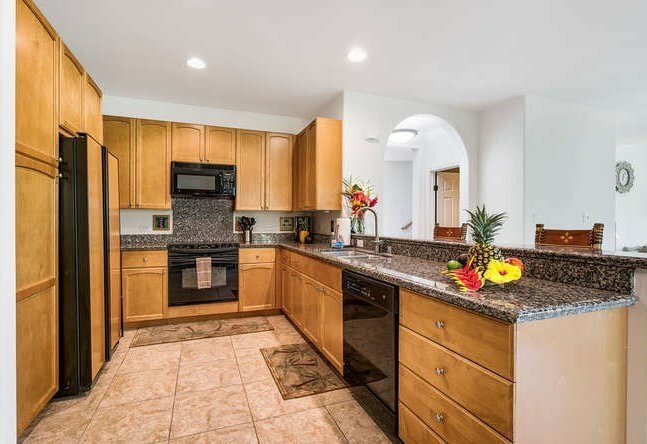 This beautifully maintained and tastefully Hawaiiana-designed furnished 3 bd/2½ bath/1699 sq. 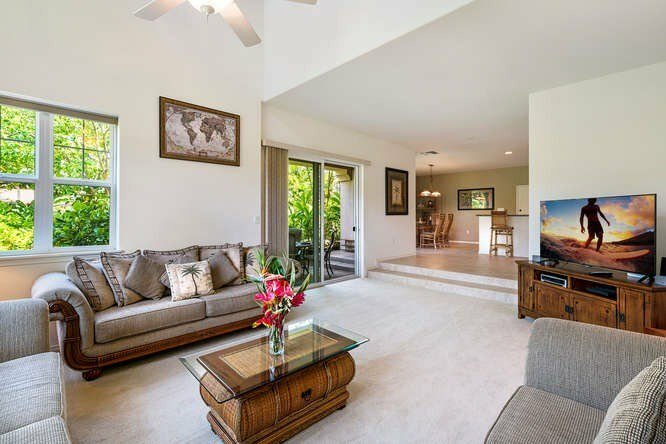 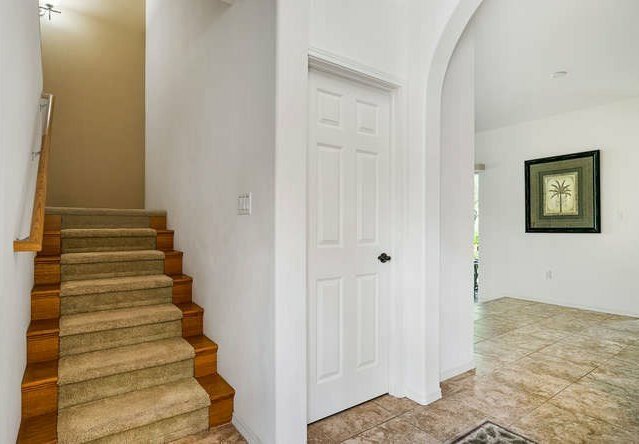 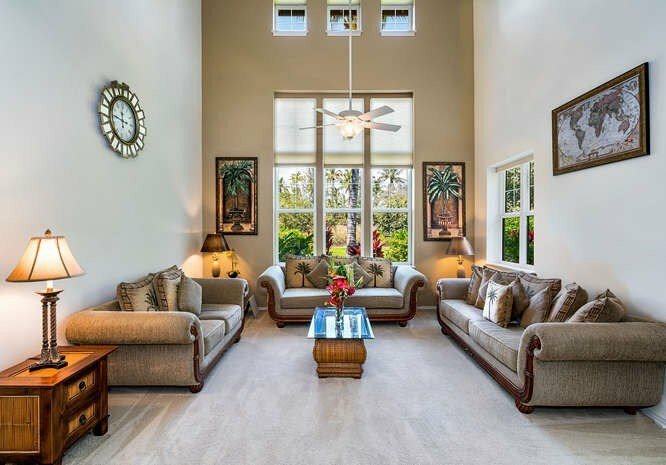 ft. turnkey townhouse features a vaulted 20 ft. living room ceiling, extra light-inviting windows, a private lanai on the main floor fronting an open grassy area, a second upstairs lanai off the master bedroom, an attached garage and a leased additional uncovered parking space. 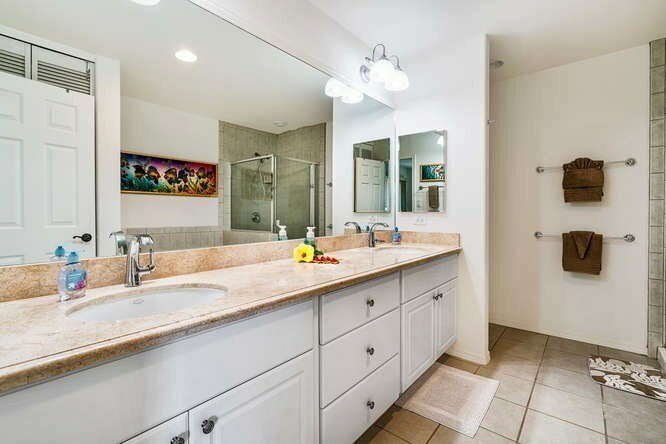 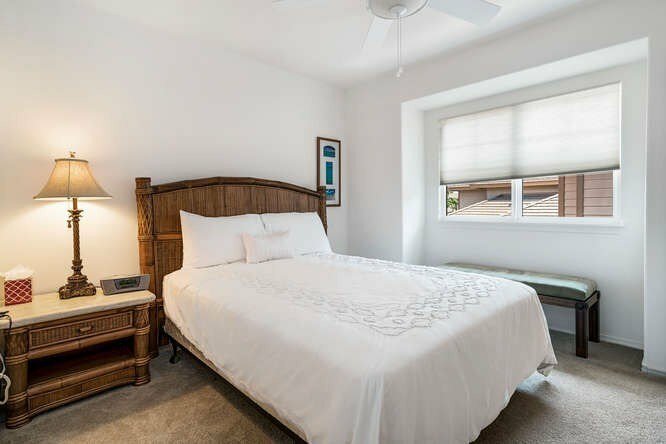 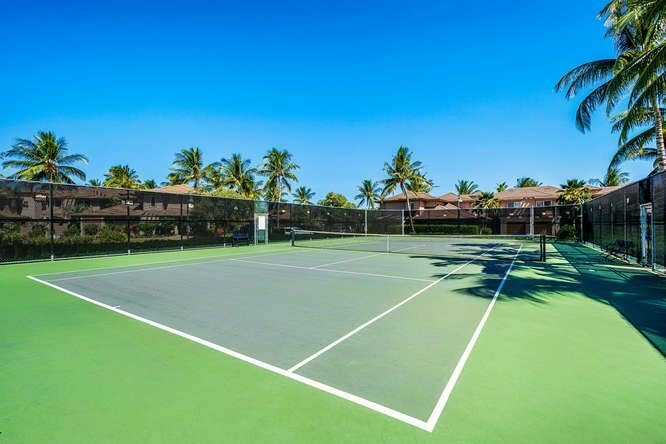 Located at the 10th green of the King’s Course, this unit is also across from one of the Colony’s two pools, and an easy walk to the Colony’s Jacuzzi spa, fitness center and tennis courts. 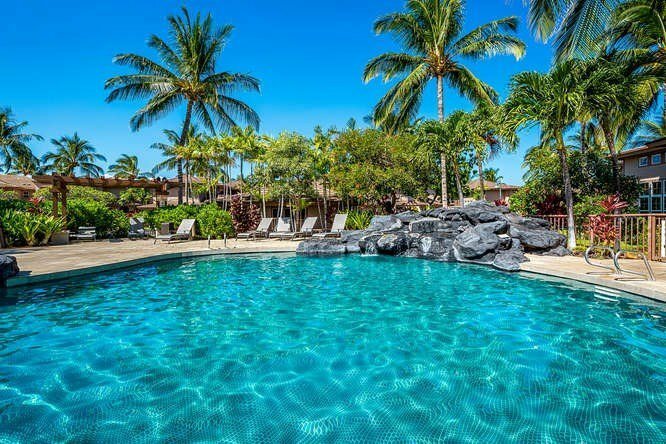 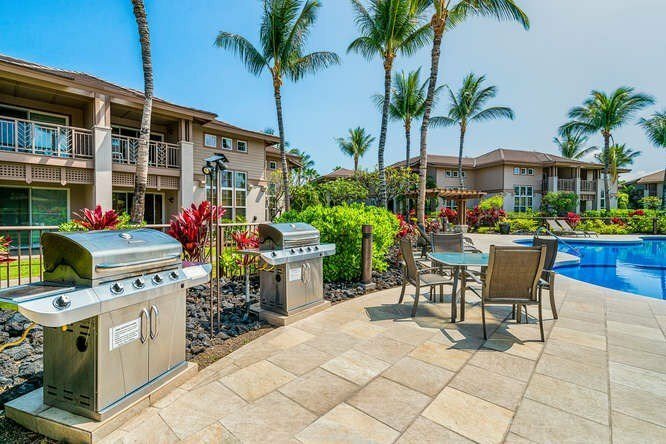 And because Colony Villas is within the Waikoloa Beach Resort, residents and their guests have easy access to the resort’s two golf courses, two shopping centers, fine and casual dining venues, entertainment, water activities and more!